Apple’s Messages app for iOS and macOS generally works well but when it doesn’t figuring out what’s wrong and how to fix it can take some doing. 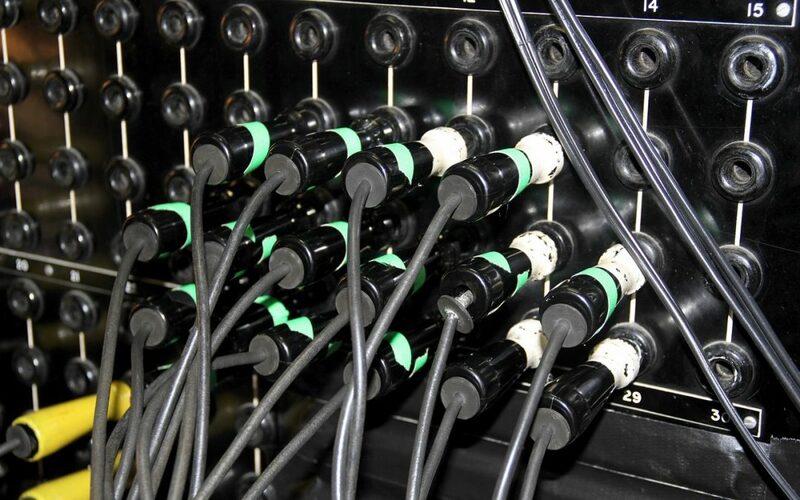 Here are a few of the most common solutions we’ve come across for problems with sending and receiving messages. Do you have a friend who previously used an iPhone but later switched to an Android phone? People like that can confuse your copy of Messages which doesn’t know if it should send to them via iMessage (no) or SMS (yes). If you text with someone in this situation ask them to deregister from iMessage. If messages aren’t flowing when you think they should be the first “is it plugged in?” thing to check is connectivity. Make sure that your iPhone has at least cellular service (for SMS) and cellular data (for iMessage) and that your iOS device isn’t in Airplane mode. In the case of a Mac make sure it’s connected to your network. Force-quitting in iOS isn’t something you should do willy-nilly since it slows down your device and hurts battery life but it’s worth trying if Messages isn’t sending or receiving messages correctly. Double-press the Home button on Touch ID devices or swipe up and to the right from the bottom of the screen on Face ID devices then swipe up on the Messages app thumbnail to force-quit it. On the Mac just quit and relaunch Messages. Here’s an easy one. In iOS go to Settings > Messages and turn the iMessage switch at the top off and back on. iMessage may take a minute or two to reactivate. On the Mac go to Messages > Preferences > iMessage > Settings, uncheck Enable This Account and then log in again. With the new Messages in the iCloud feature, Apple syncs conversations through your iCloud account. If messages from one device aren’t showing up properly on another device in iOS go to Settings > Your Name > iCloud and turn Messages off and back on. 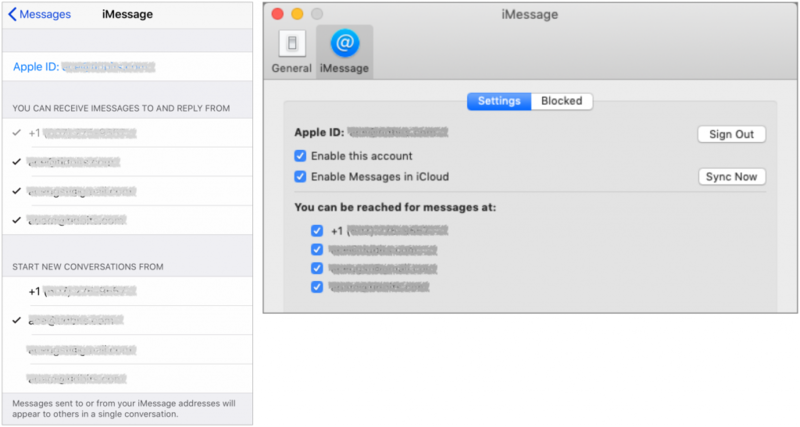 On the Mac go to Messages > Preferences > iMessage > Settings and uncheck and recheck Enable Messages in iCloud. SMS relies on a phone number and you can be contacted via iMessage via a phone number or email address. Make sure you can be reached at all the appropriate ones. In iOS go to Settings > Messages > Send & Receive to check. On the Mac look in Message > Preferences > iMessage > Settings. If they’re not right fix them in iOS in Settings > Passwords & Accounts > iCloud > Your Name > Contact Information by tapping Edit in the Reachable At section. 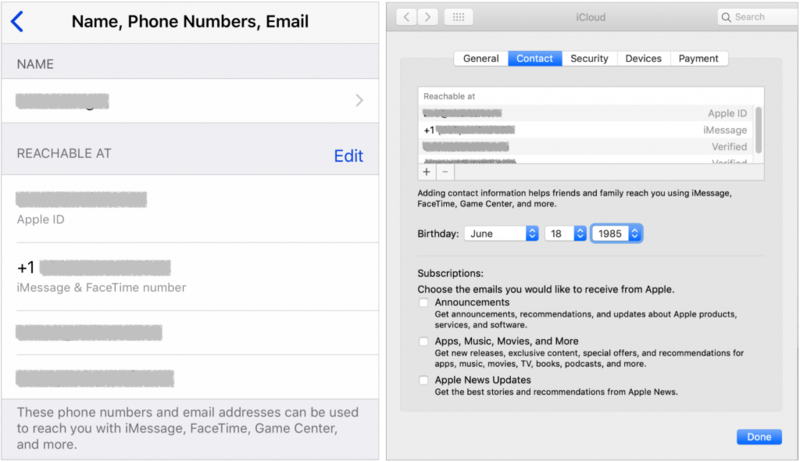 On the Mac you add these addresses with the plus button in System Preferences > iCloud > Account Details > Contact. When you’re in an area with sketchy cell service there may not be enough of a data connection for iMessage to work. In such a situation SMS text messages are more likely to get through but Messages will try to send to iMessage users via SMS only if you turn on Send as SMS in Settings > Messages. 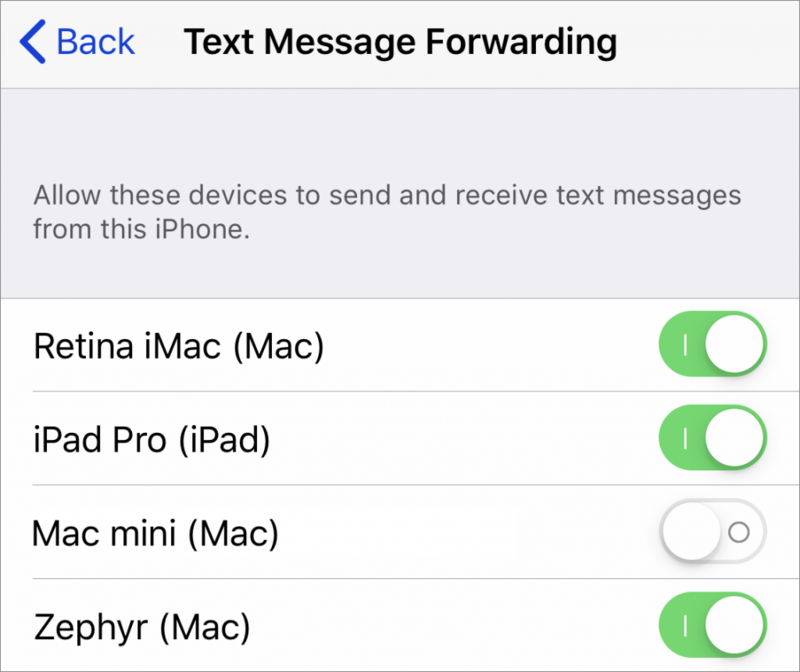 If you’re receiving SMS messages on your iPhone but not any of your other devices make sure Text Message Forwarding is enabled for the relevant devices (they need to be signed in to the same iCloud account). On your iPhone look in Settings > Messages > Text Message Forwarding. Restarting can resolve all manner of problems so it’s always worth a try if all the settings and accounts are correct. On the Mac just choose Apple > Restart. For iOS devices with Touch ID press and hold the top button until the Slide to Power Off slider appears. For those with Face ID press and hold the side (iPhone) or top (iPad) button and one of the volume buttons until the slider appears. 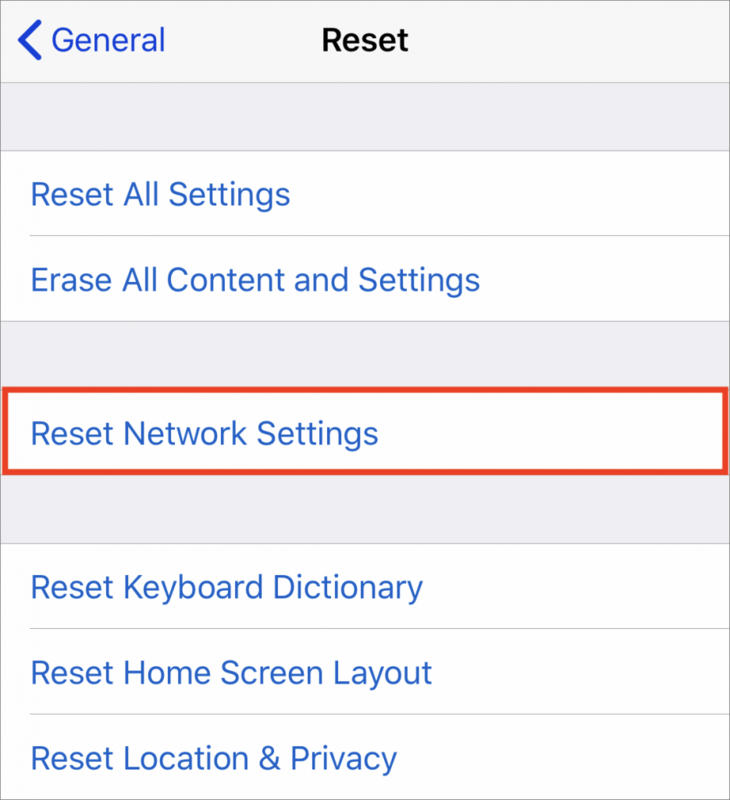 Finally, the most voodoo of the fixes we’ve seen work is to reset network settings in iOS. You don’t want to start with this option because doing so also resets Wi-Fi networks and passwords, cellular settings and VPN settings. But if all else fails go to Settings > General > Reset > Reset Network Settings. If none of these techniques fix your problem let us know and we’ll see what we can do to help!